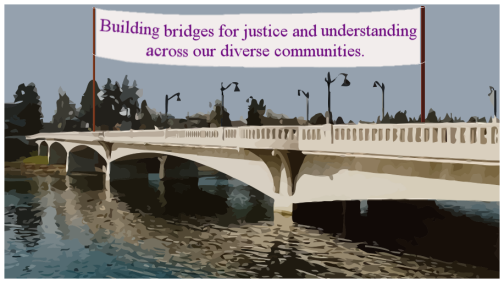 Building bridges for justice and understanding across our diverse communities. Please join us for this important event on New Year's Day, co-sponsored by Olympia Unity in the Community, Interfaith Works, Thurston County National Organization for Women, Olympia FOR (Fellowship of Reconciliation), Temple Beth Hatfiloh, Olympia Friends Meeting's Peace and Social Justice Committee, and others. Download the PDF flyer here. Unity is working with a broad range of groups and individuals to promote events that address diversity, hate crime and building community. 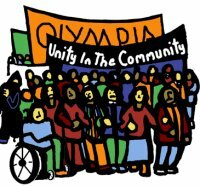 Check this page again, and check the Olympia Movement for Justice and Peace website for current events & activities.